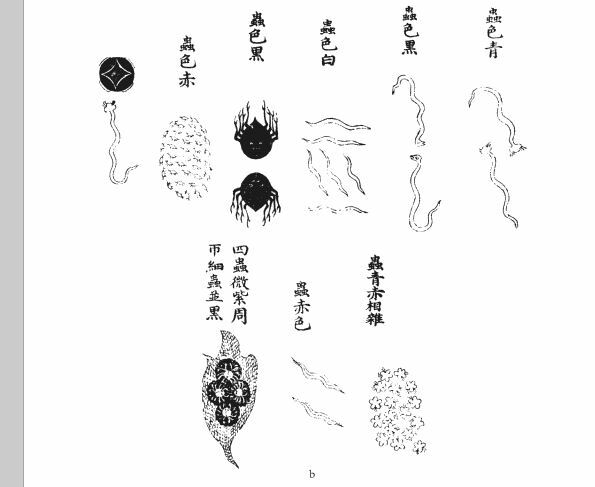 Chapter 6, “The Meaning of ‘Subtle'” (微旨), equates grain avoidance with the supernatural abilities of a xian transcendent. 1. 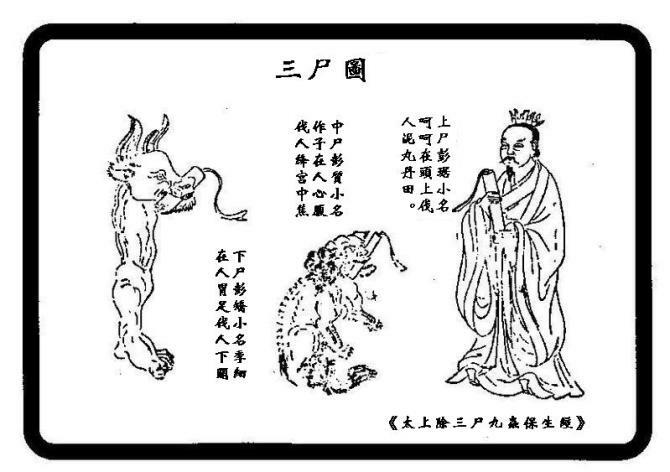 The Upper Corpse, Pengjulives in the head, symptoms of its attack include a feeling of heaviness in the head, blurred vision, deafness, and excessive flow of tears and mucus. 2. 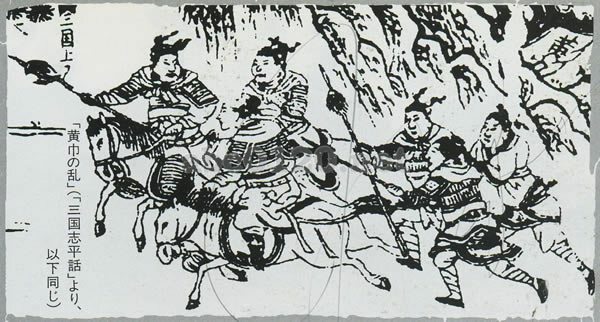 The middle corpse, Peng Zhi, dwells in the heart and stomach. It attacks the heart and makes its host crave sensual pleasures. 3. 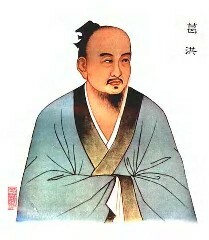 The lower corpse, Peng Jiao, resides in the stomach and legs. It causes the Ocean of Pneuma ((qihai) corresponds to lower dantian) to leak, and make host lust after women. 1. 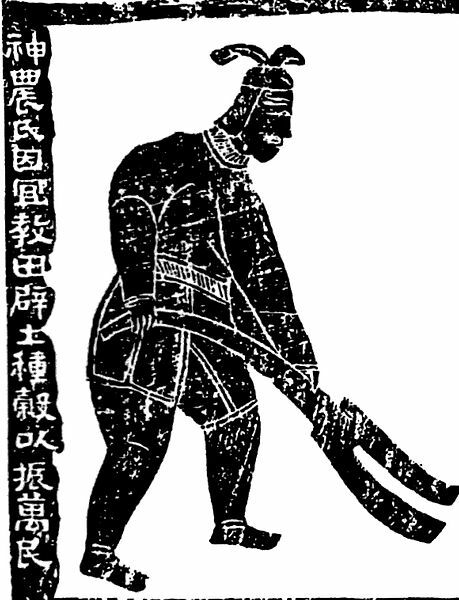 The “ambush worm” (fuchong) saps people’s strength by feeding off their essence and blood. 2. The “coiling worm” (huichong) infests the body in pairs of male and female that live above and below the heart, consuming the host’s blood. 4. The “flesh worm” (rouchong) causes itching and weakens the sinews and back. 5. The “lung worm” (feichong) causes coughing, phlegm buildup, and difficulty in breathing. 6. 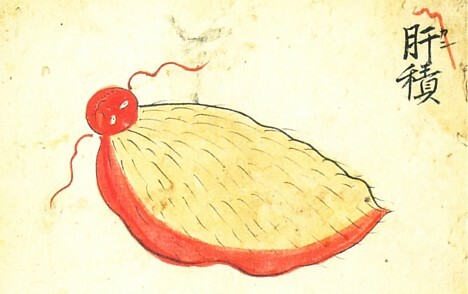 The “stomach worm” (weichong) consumes food from its host’s stomach, causing hunger. 7. 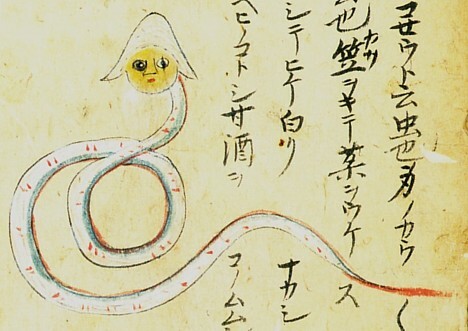 The “obstructing worm” (gechong) dulls the senses induces drowsiness and causes nightmares. 8. 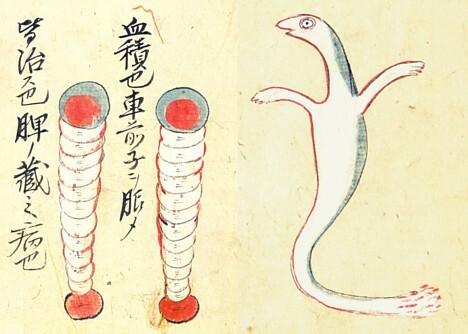 The “red worm” (chichong) causes stagnation of the blood and pneuma, heaviness in the waist, and ringing in the ear. 9. 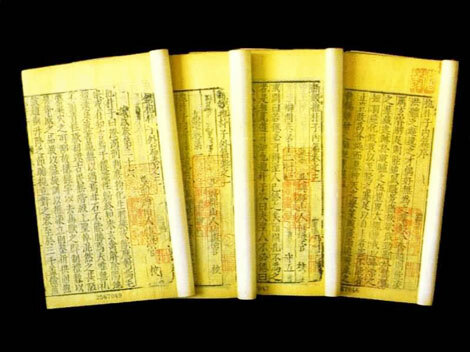 The “wriggling worm” (qiaochong) causes itching sores on the skin and tooth decay. The Taishang shengxuanjing says a fast of 30 days kills the Upper worm, 60 the Middle, 100 and so on as mentioned, but that even after the adept purges the body he will still feel the urge to eat. This is explained that the refined essence of grains causes a slimy membrane that coats the Five Viscera, Six Bowels, the joints, muscles and vessels but perseverance for 20-30 more days will make it disappear (as will moles, scars and blemishes). 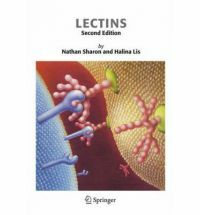 Lectins are types of proteins commonly found in nature in foods such as fruits, vegetables, and seafood, but especially grains, beans and seeds. Aglaée the Paleo Dietician says, “Some people may experience diarrhea, nausea, bloating, reflux or vomiting when ingesting lectins. Whether you experience symptoms or not, lectins can damage your gut lining, impair nutrient absorption, compromise your gut flora and interfere with your immune system”. Lectin has a protective role for the plant by irritating your digestive system so you don’t digest its seeds, which is needed for the reproduction and survival of their specie. Some people may experience diarrhea, bloating, nausea, reflux or vomiting when ingesting lectins. Whether you experience symptoms or not, lectins can damage your gut lining, impair nutrient absorption, compromise your gut flora and interfere with your immune system. 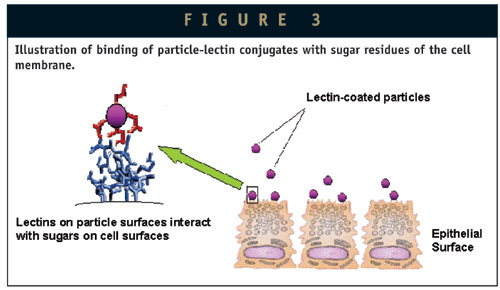 Lectins are also involved in impaired intestinal permeability, or leaky gut, which allows undigested particles (pooh!) to pass from your intestines into your blood and causing problems. 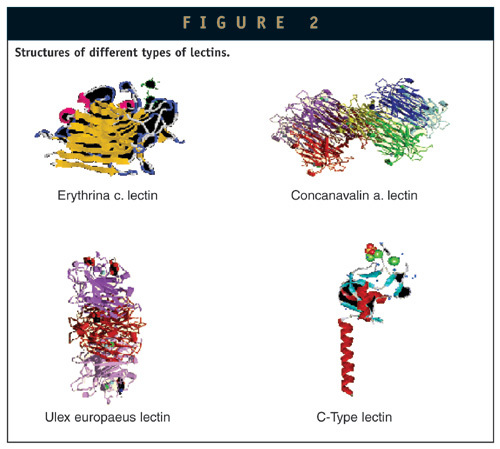 Lectins which can damage the gut lining, which increases inflammation and is a newly discovered feature of not only autoimmune disease but also insulin resistance and liver pathology. This is a feast of delicious information – thank you! I hadn’t realised the Taoists were *so* philosophically opposed to them, but as soon as I realised that the Confucianists were into them, I knew there was going to be trouble. That realisation, whilst reading a good dose of Derrick Jensen, brings me here, four months into a grain-free, low carb, high fat, barbaric diet. Checking my pulses, keeping an eye on the Spleen and all, but feeling great. Marvellous. Thanks for gathering all this. Is this diet like the Paleo one? My problem with that is the source of protein. My ancestors like most people got a lot of protein from insects. I am allergic to shellfish so I am not supposed to eat insects. And wild animals have like 2% body fat until the organic cows and pigs and turkeys etc. I wanted to do the Paleo thing since I agree agriculture is the root of most evil but it really didn’t seem to be the diet my ancestors would have eaten. No aurochs, no bugs, no meat from hunting, all from pastoralism, which is just another form of agriculture to me. I could not figure out how to do Paleo the real way. I was veggie for 20 years and I am so glad I eat meat again. My main “rush” food is spirulina. I work with what my body tells me. Dairy and eggs and shellfish and sugar out. Aside from Irish grass fed butter. Body likes that. I think self medicating with carbs for depression or pain might be OK as the world is hard. I am on the fence about self medicating. We do not live in a healthy human society. We are wounded deeply and have no real support. When the “system” fails and there is no one there and it’s just you, homeless, sick, cold, with rashes and migraines and there is no money for organic food and no way to bathe (I have been in this situation, most recently due to severe MCS) self medicating might be the way to go. With there being no tribal security and no safe food/air/water and being unable to have contact with almost all humans due to their chemical addictions (fragrance, toothpaste, deorderant, clothes with pesticides, shampoo, clothes with dyes, car exhaust (esp when the bike in traffic), and much much more), I am not sure what the compassionate thing is to do with a dollar. Buy 1 oz of organic turmeric or a candy bar? The turmeric might help with pain and other medical needs but that has to be long term for an effect. A candy bar gives temporary joy. When homeless and shunned by the world for MCS and having no help and a black bear rocking the car you sleep in and you are disabled and cannot walk and have no phone and cannot drive and no doctor, well. I have been thinking it is not long life I want, but quality life. 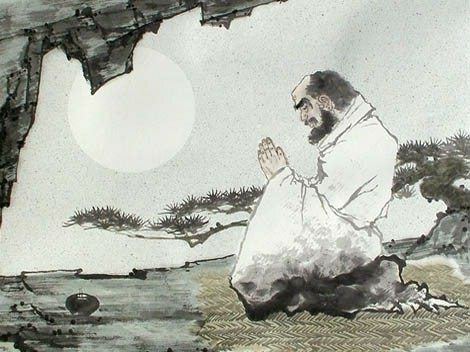 I love Daoism til it gets all Eternal Masters. I like do nothing against nature. But I understand that there were men and movements of their times. 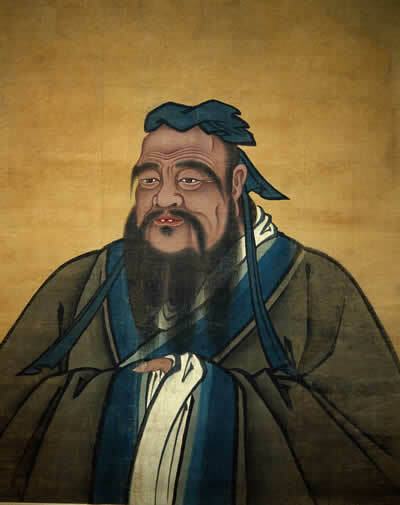 Confucius grew up warlord Hell.He wanted to create order so there would be peace and safety. I believe he meant well. Daosim is the pendulum swinging back to “what about human desire, what about nature, what about following what you feel?” I do think Taoism has much connection with indigenous beliefs of that place, but romanticized like how Amerikkkan New Agers idealize Native Americans as a fiction of the past they created. Both made sense at the time, to maintain some balance. 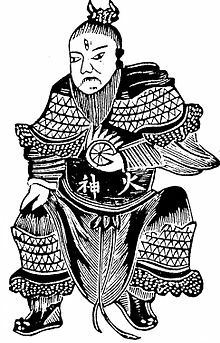 Confucius thought based on his early life “These humans are nuts and need rules so no one gets hurt.” He grew up in a very bloody time. 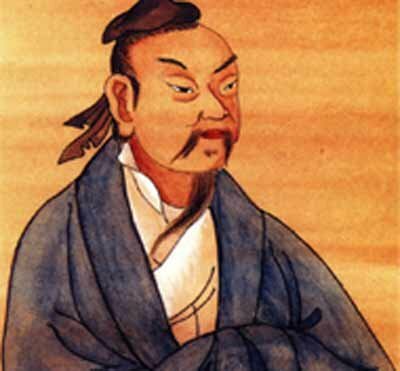 Taoism shows up saying “We need natural chaos to have creativity and it will all work itself out.” Then it got into rules and as strictly dogmatic as Confucius. Which anything with humans involved tends to do. Become meaningless dogma, with the context gone. What I find interesting it that in China people don’t in general see picking a side. 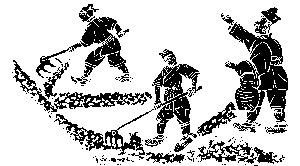 They are Taoists and follow Confucius. Plus say they are also Buddhist. The need to label and impose and pick sides doesn’t come into play as the culture has all elements. Add super capitalist Communism the is ruining the land and people’s health while taking over the global economy, I am not sure how that all adds up. Technically, it would be considered “paleo” since no agriculture is involved. I was a vegetarian for 10 years until last summer, I am very fortunate that I can obtain grass fed beef from farmers markets near me. Granted, pasture raised cows are post agriculture, but they are eating a pre-agriculture diet. Everybody self medicates in their own way to deal with contemporary society. I guess what matters is how destructive our particular medication is, and that’s still relative depending on what you value. Labels are B.S. We are all on our own journey and we express our uniqueness, this includes diet, philosophy and spirituality. Is barbaric diet the same as caveman diet? Or the nourishing traditional foods? Are you referring to the work of Weston A. Price? The Nourishing Traditions (Weston Price diet) is based on indigenous diets, but not neccesarily Caveman, (NT uses dairy products), but it’s very similar. I believe so, the ancient Taoists seemed to only have spoke against grains, but if you are going for a ketogenic, fat-based diet, the heavy starch in potatos could add to much sugar for you…. I am now a non-grain, non-potato, no sugar, no dairy vegetarian (or vegan) daoist/practioner of yoga and i feel just great. Abstinence from grains and all animal products is very benevolent for the body and the way of the original Divine Order (compare the story of the offering of Kain). I am very happy with wild fruits, vegetables, nuts and some dried foods. Actually it is more than enough to feel satisfied. No grains or (any staple goods) needed. What do you do for protein? How long have you been doing this? If you don’t respond I’ll probably just assume you have died from starvation. I just want to say that I really enjoyed this unique post. It contains so much that I’m interested in: rewilding and pre-agriculture life, Taoism, diet and anarchy. You’re really awesome.